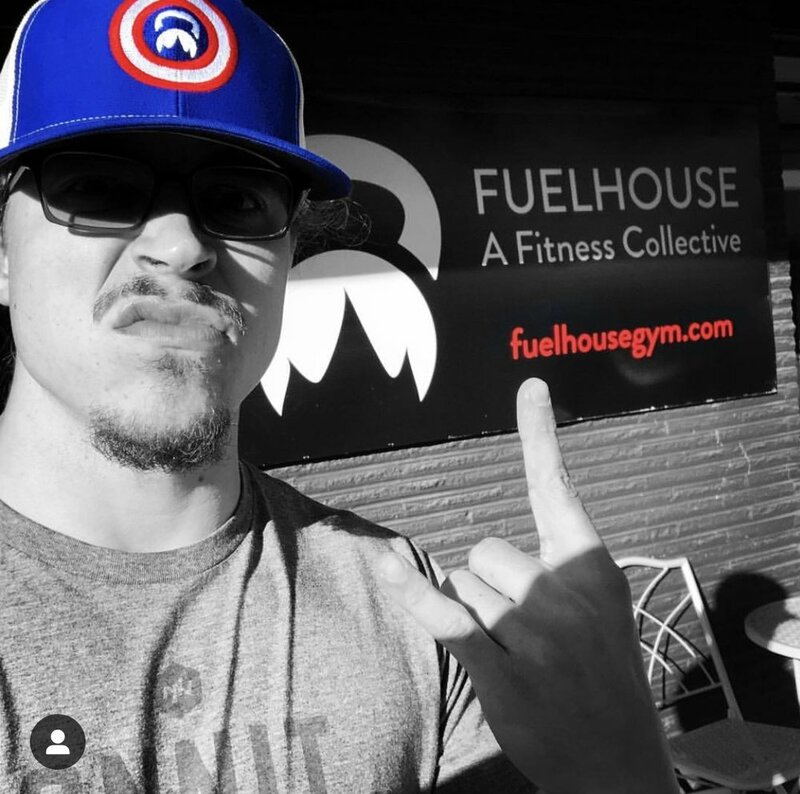 We are thrilled to announce the promotion of Brian Hurst to Co-Captain at FUELhouse! Brian only joined the FH Team 8 months ago as an intern. He showed up with a background in Kettlebells and a GIANT desire to become a Coach and Personal Trainer. 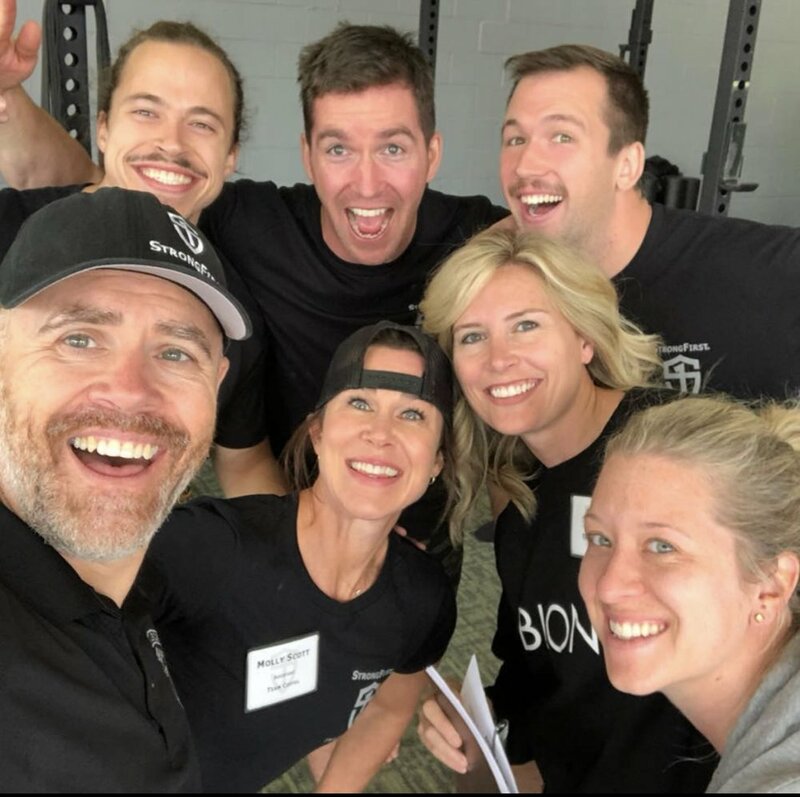 Brian was on an accelerated path to complete his StrongFirst I Certification in September 2018; and that he did with flying colors. He was so successful at his Certification weekend that he was noted by his mentors for having a “gift” for coaching and was accepted as an Assist for future SFG I Certifications. Out of 100 participants that is quite an honor. During his internship Brian showed his knack for customer service and communication skills. With his incredible smile and willingness to serve our humans it was only a matter of time before we would ask Brian to take on more responsibilities. As Co-Captain, Brian’s main duty is helping Molly operate FH. Brian is the one responding to all email inquiries, answering membership questions, the artist behind our gym wall calendar and announcement board, birthday card messenger, inventory manager and everything else in between. 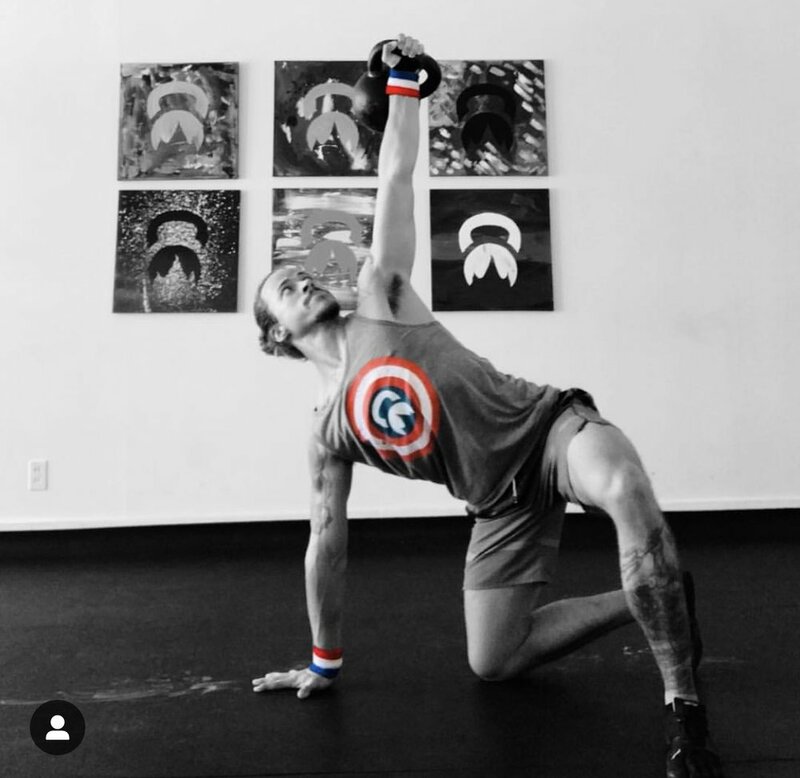 When not helping Molly run the gym, Brian can be found coaching our am Kettlebell classes on T/Th and Gym Class Heroes on Sundays and managing our newest members by offering Private Firestarter On-Ramp Sessions. Brian is also an incredible personal trainer and is growing his PT book of clientele by the week! 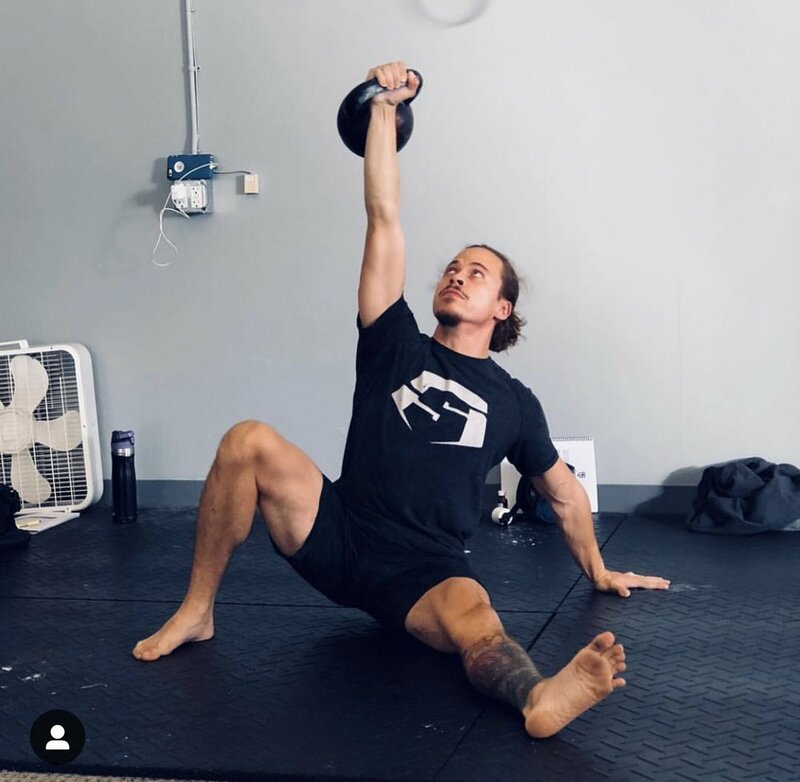 Don’t wait to train with Brian…. he is filling up fast! What would your spirit animal be? Tiger; Stealthy. Majestic. Powerful. If you could have one superpower, what would it be? Flying; damn, that’d be dope! What is your favorite Exercise/ Movement? Get-ups; The focus required to perform this complex movement safely & correctly has a way of making the rest of this busy world shift out of focus for a while. When did you start working for FH? Interned through August/Sept. Officially started coaching in October. What are some of your goals in or out of the gym? Read/Listen to 23 (or more) books this year. Personal Records or achievements that your proud of? Earning my SFG I Certification; Having a pint of Guinness at the top of the Guinness Storehouse in Dublin; Hiking Angels Landing. Anything else you’d like to share with our fitfam? Thanks for being such a collectively incredible group of human beings! It’s been such an unforgettable 6+ months getting to know you all & the best is truly yet to come; we are just getting started!! We are so excited about Brian’s new role at FH. Please join us in congratulating him on his promotion. Posted on March 11, 2019 by Molly Kieland and tagged fuelhouse cocaptain manager.